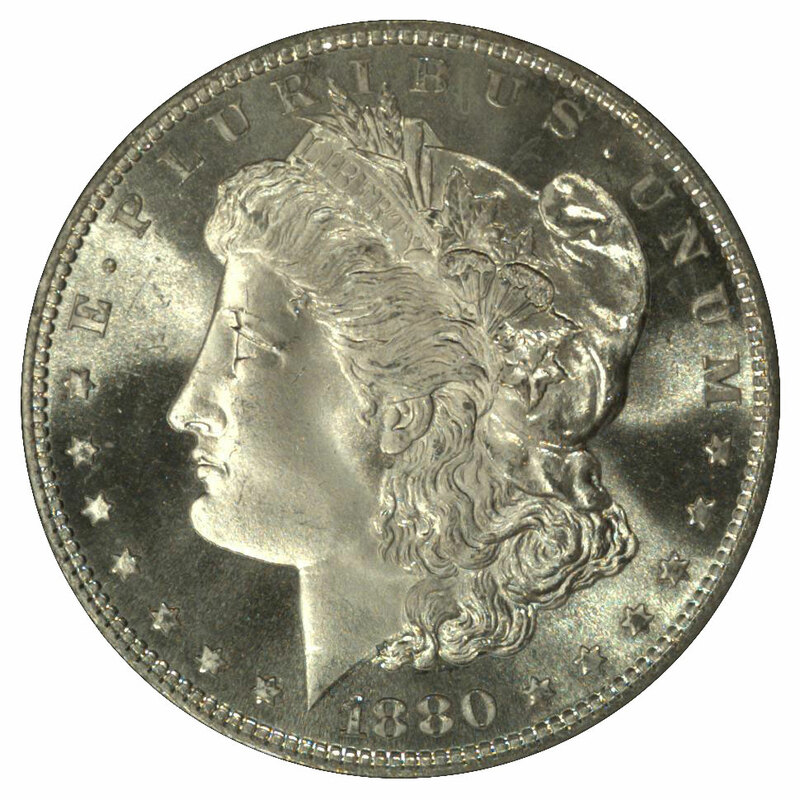 The Morgan Dollar was coined solely as a subsidy for the domestic silver mining industry, and silver certificate notes took their place in daily commerce. Because these coins were not required for general circulation, millions of uncirculated pieces sat idle in Treasury Department vaults or in Federal Reserve banks. It was not until the late 1950s that collectors began a run on these supplies, purchasing entire bags of mint state coins at face value. When large numbers of rare dates began to turn up, the Treasury cut off their distribution in the spring of 1964. What remained on hand were mostly coins struck at the Carson City Mint, and these were disbursed in auction sales that ran from 1972 to 1980. Today, there are few if any large accumulations of uncirculated silver dollars. With so many dates in this series readily available in mint state, only the scarcer ones are typically sought in circulated grades. 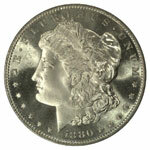 Perhaps no other coin type is so easy to grade when worn as the Morgan Dollar. Its large size helps, as does its broad, high border, which resulted in even wear throughout. You'll find the photographs in the book The Official American Numismatic Association Grading Standards for United States Coins quite clear and easy to apply to your own coins. In addition, there are several color photos for this particular series, since it is so much in the mainstream of popular numismatics. These supplemental photos are included for the grading of mint state Morgan Dollars, which can be quite a bit more challenging than grading circulated pieces. With such an abundance of unworn coins, there are many subtle distinctions in grade that can be made with this type. 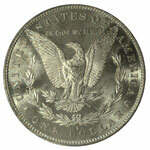 In fact, it was primarily the market for Morgan Dollars which prompted the adoption of all numerical grades from MS-60 through MS-70. Before the mid-1980s, most in the hobby acknowledged only a few incremental grades, such as MS-60, MS-63 and MS-65. The great number of Morgan Dollars and other USA coins which were clearly better than MS-63 but not quite as good as MS-65 led to the tentative use of the MS-64 grade. Once this barrier was overcome, the remaining numbers from 60 to 70 were hastily added by nearly all dealers. 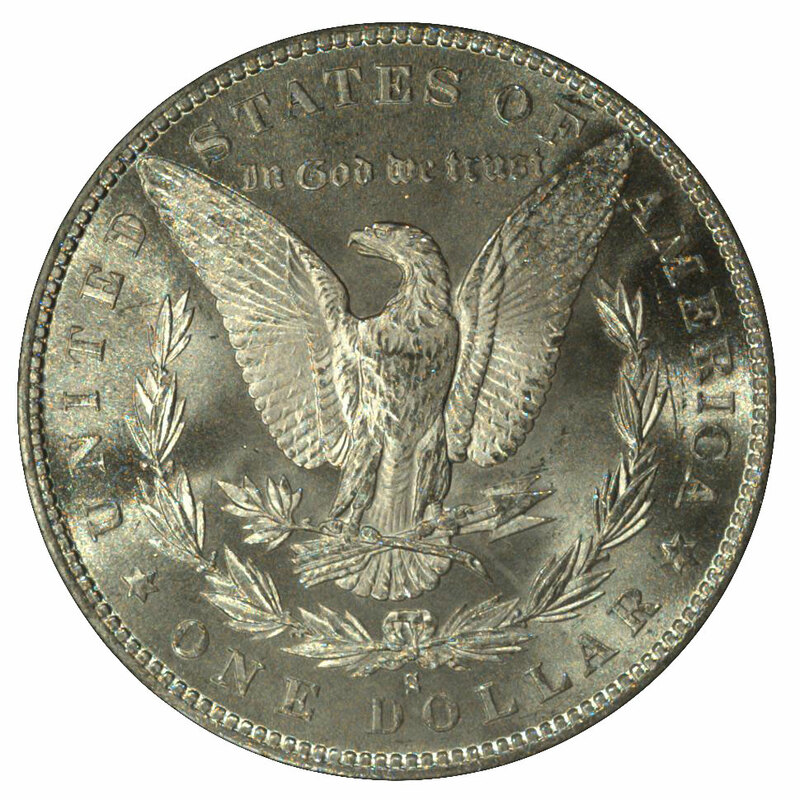 The advent of certified and encapsulated coins in 1986 validated the use of all eleven increments, though grades higher than MS-67 are rare, even for Morgan Dollars. The subject of grading mint state and proof Morgan Dollars is so vast that I can't possibly cover all areas in this column, so I'd like to focus on a specific issue which is particularly troublesome to the inexperienced collector. Perhaps the biggest problem in grading these coins is making the fine distinction between examples which are choice About Uncirculated (AU-58) and those which are truly mint state (MS-60 and higher). Known in the trade as "sliders," these faintly worn coins are a serious problem for dealers and collectors. Many of the Philadelphia and New Orleans Mint coins in particular are found with just the slightest bit of rubbing in their fields or on their highest points of relief. It's not known for certain whether these coins ever entered actual circulation or were simply abraded from the frequent moving of sealed bags of uncirculated coins. Some writers have speculated that these were gift coins, ones given out for holidays or birthdays and then immediately spent or redeposited by the recipient. Since silver dollars weren't used in general circulation (except in some of the western states), these coins would have quickly found their way back to the vault. Expert graders, such as those at NGC, can spot such coins immediately, but the sheer volume of Morgan Dollars from which to choose means that you may have to evaluate some uncertified coins for yourself. Depending on the rarity and value of the coin in question, the difference between AU-58 and mint state can be a very important distinction.